Members Aaron Gott and Amy Maynard offer up a sound rooted in country-style guitar and soaring harmonies woven together at their very fibre, intensified by their on-stage chemistry. The duo's familiarity, closeness and authenticity is fuelled by their real-life romance, creating a magnetic performance style that captivates their audience time and time again, and has seen them open for the likes of Fly My Pretties and Herbs, and as a featured act at the Auckland Folk Festival. Having performed together extensively since they bonded during a recording assignment at music school in 2012, Aaron and Amy embarked upon their newest musical endeavour Looking For Alaska two years ago, and have since worked tirelessly to create a collection of original material, ranging from thigh-slapping, foot-stomping folk sing-alongs, to poignant heart-rending ballads drenched in melancholy. Accompanied by their band, Looking For Alaska have recently emerged from Roundhead Studios where they have recorded their debut album, released in October 2016 and now accompanied by a nationwide tour. 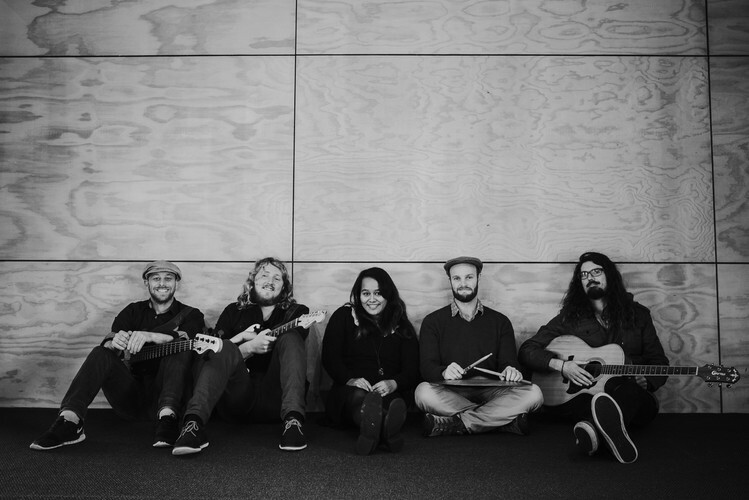 Opening the show will be Taranaki's own "Glass Boat". From ballad to folk blues, well-crafted songs, fine musicianship and mesmerising harmonies.